How has the Gainesville and Alachua County real estate market performed since 2004? 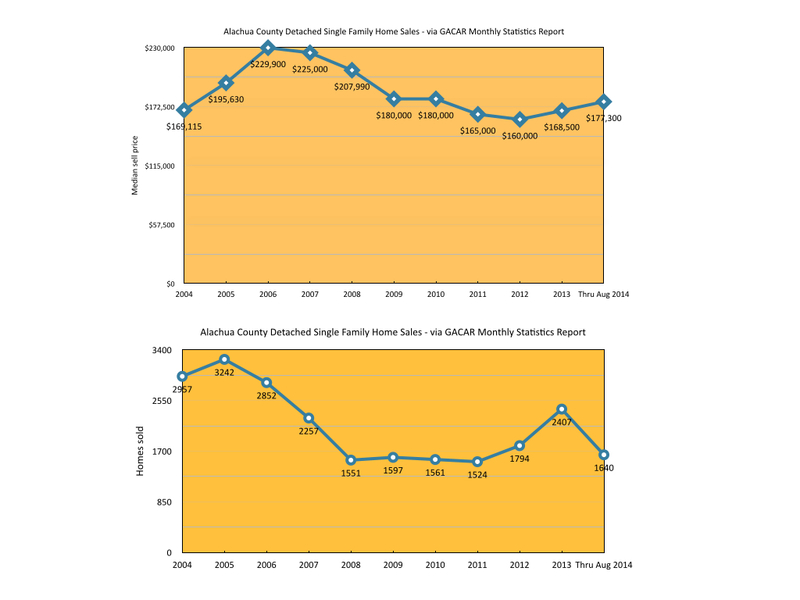 2006 was the high point for the Gainesville and Alachua County real estate market. Homes decreased 30.4% in value between 2006 and 2012, from a high median sales price of $229,900 in 2006 to a median sales price of $160,000 in 2012. Home prices increased 5.3% between 2012 and 2013. An analysis of home sales prices between 2013 and August 2014 shows that home prices have increased 5.2% so far this year.